Having just emerged from “wedding coma,” or perhaps more accurately a time which could be described as this crazy-fun-season of flowers-and-vintage-and-love-and-romance-and-sister-time-and-planning-the-most-joyous-celebration-of-the-year-when Dessa-married-Ryan, I feel like I closed my eyes for a second and it went from September 23 to December 3. But – yikes, it is actually December 5. Omygosh! 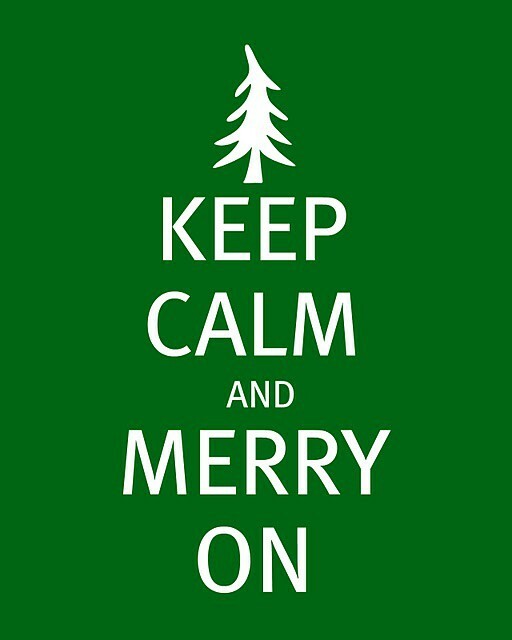 Thus shall my mantra be: Keep calm and merry on. For I do so love the Reason for the season and all things Christ-mass (the worship and acknowledgement of a Savior) and even the silly ways we may mark and celebrate it, our humble attempts at being like Him, celebrating Him from lights on the tree (Jesus, Light of the World} to giving gifts (for He was a gift to us from a loving Father) to red ribbon (like the scarlet cord we see in the Word – it has always been about the blood) to the breads we bake and the puddings we make (undeniably, resoundingly remembering Him when we sit to eat),…I love it all and it ALL testifies to my great gratefulness at having been redeemed, bought back, placed in the Kingdom. I can’t help celebrating, both the HOLY wild side and the happy-human ways we try-o-try-o-try to not only receive and consume His great love and faithfulness and then let it out: all wommply-imperfectly-and-sincerely flawed, but sincerely full of our response to His love! And our weird obsessions with sharing it. Forgive my joy, if you must. MERRY Christmas – that is a blessing. I hope you will receive it from me.